We help customers implement best-in-class solutions for operational excellence, business analytics, and risk compliance management. 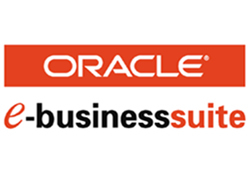 Oracle EBS Suite.Oracle E-Business Suite is the most comprehensive suite of integrated, global business applications that enable organizations to make better decisions, reduce costs, and increase performance. Content Management System (CMS) is a computer program that allows publishing, editing and modifying content as well as maintenance from a central interface. E-ticketing has largely replaced the older multi-layered paper ticketing systems.When a reservation is confirmed, the airline keeps a record of the booking in its computer reservations system. Complex billing has never been simpler.Our main mission is to design and implement, superior customer support solutions that allow our clients to maintain a profitable operation. Connectivity Solution Connectivity Solutions, give you a competitive advantage through design and implementation of flexible and reliable IT Solutions.